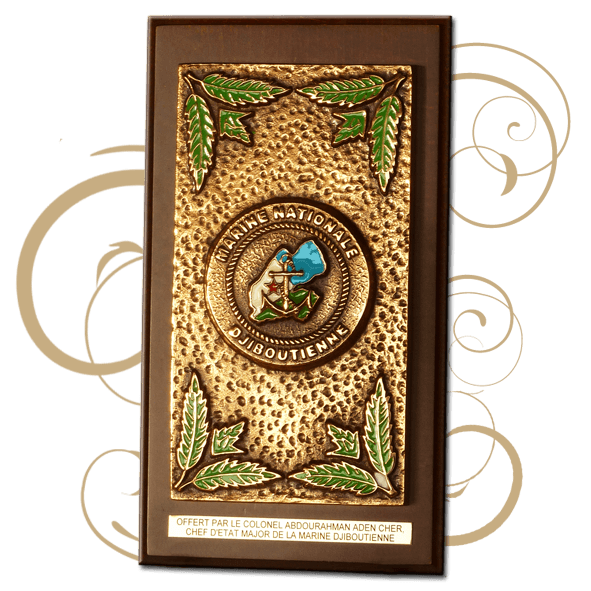 Among the different types of bronze casting medals, custom navy awards, and more generally the bronze casting medals on a wooden base, are appraised as beautiful gifts by large organizations across the world. 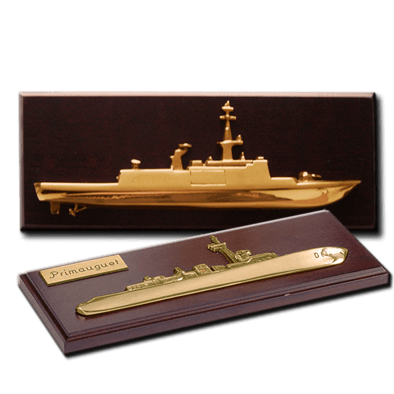 Many years ago, we started bronze foundry with the creation of “Tape de bouche” for the French Navy which are very popular custom navy awards. 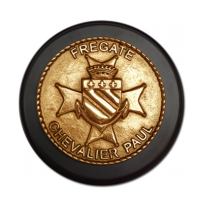 The “Tape de bouche” is a bronze casting medal with a diameter ranging from 80mm (3.1″) to 200mm (7.9″) fixed on a circular wooden base. 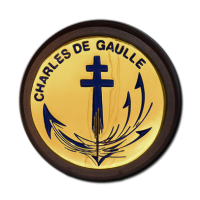 Historically, “Tapes de Bouche” were used to cover the muzzles of cannons on a war ship. 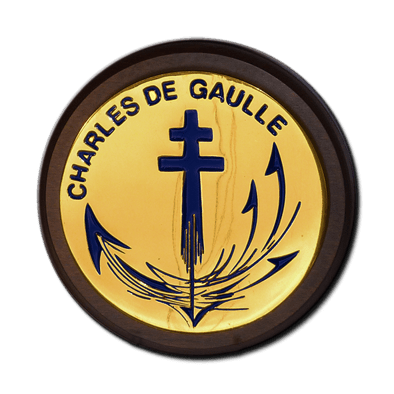 Each ship had her own symbol shown in bronze casting on its “tapes de bouche”. 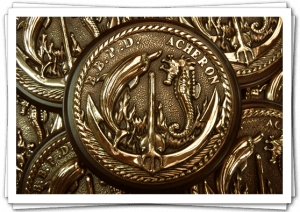 Today, among popular custom navy awards, the “tape de bouche” is a piece of decoration which is usually hanged on a wall and a collector item for both sailors and navy connoisseurs. 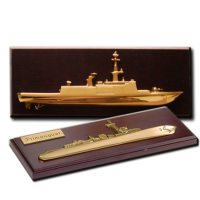 In the French Navy tradition, there is another symbolic kind of custom navy awards which is called the “demi coque”. 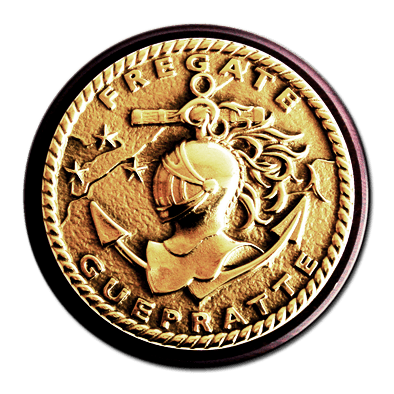 It shows on a bronze casting medal, the silhouette of the ship it represents in high-polished bronze fixed on a rectangular piece of wood. 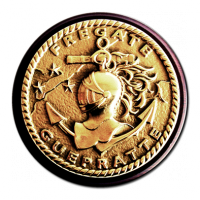 Like the “Tape de bouche”, it is quite sought after by collectors of custom navy awards. 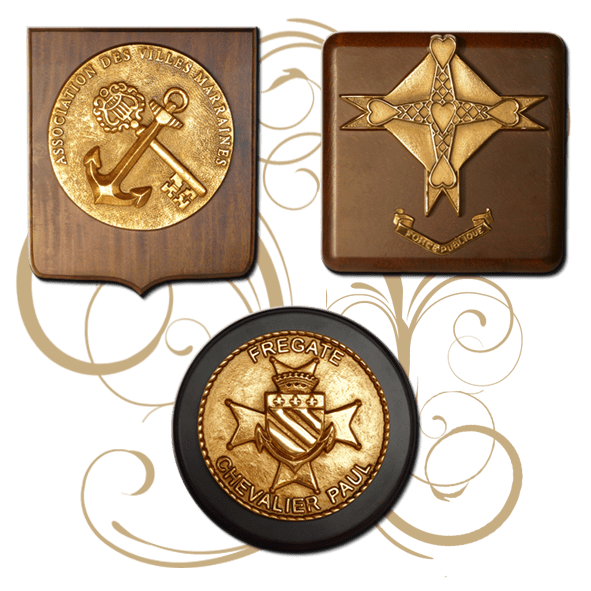 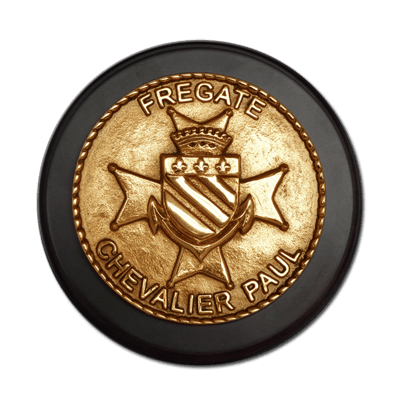 The “Tape de Bouche” concept of a bronze casting medal presented on a wooden base is now widely used for beautiful custom awards distributed not only by the French Navy but also by many other organizations. 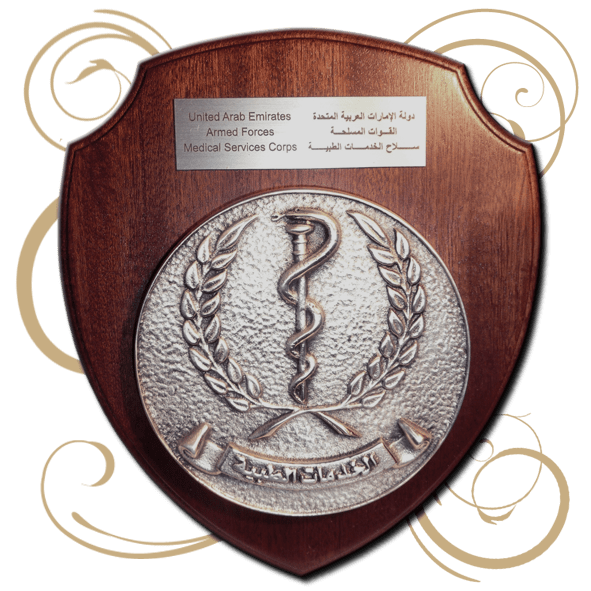 The shape of the wooden base can be either circular, in the form of a shield, square or rectangular. 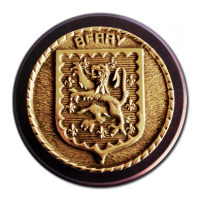 The piece of foundry can be antique silver-plated, for a different look. 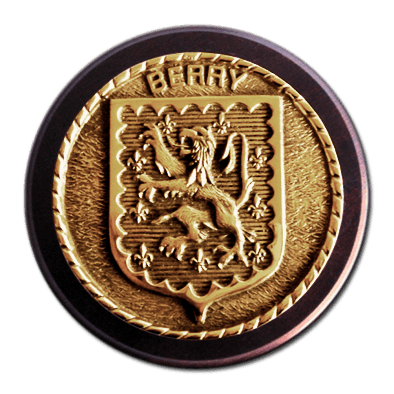 Small touches of colour can also be added to the bronze.